Offer the perfect floating step with this marine-grade aluminum lift ladder that can get in the water on your deck, dock, or marina. Perfect for piers large and small plus any slips that see multiple uses throughout the year. This model offers a broad but small base to help it stay above the water level when mounted on any floating dock or extension. Limit the risk to people and equipment with this lift ladder that gets in the water or out of the way quickly. Our standard floating dock lift ladder is a 5-step model but we can special order a variety of other sizes to best fit your dock and needs. Sometimes you need to get in and out of the water safely, whether it’s because you were inspecting your favorite toy or someone took a wrong step and found themselves in the drink. Give your friends, family, and guests the easiest way to get back on dry land, or at least your floating dock, with this high-quality floating dock lift ladder. 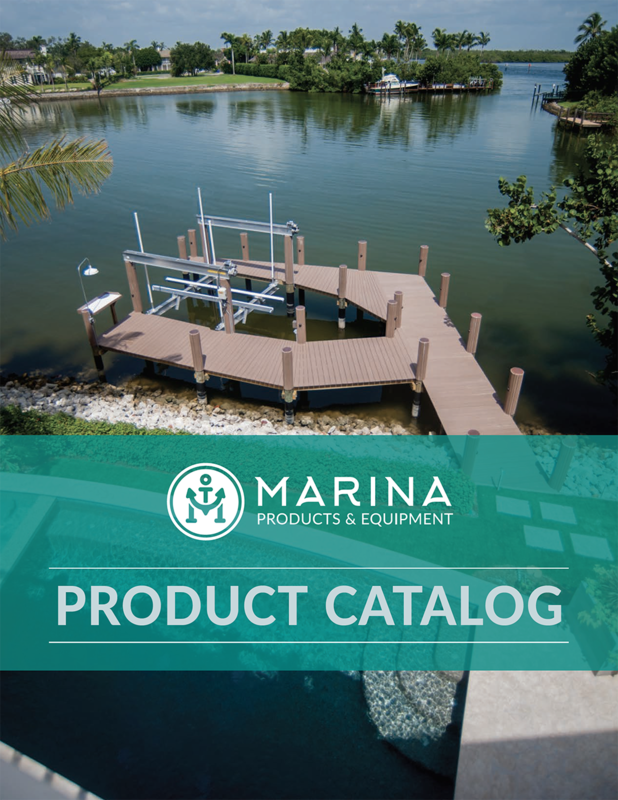 This option features marine-grade aluminum construction and secure bolts so that it can take all of the punishment your marina, dock, deck, or personal getaway can deliver throughout the year. You’ll have a smart option that won’t rust or corrode, so it’s safe for people to use to get into the water, retrieve anything that’s fallen overboard, or to inspect the area. This model provides significant room for all of your vessels, thanks to a slim profile and narrow design. Even if you’re working on narrow piers or small footprints, these floating dock lift ladders can be mounted safely to prevent slips, trips, falls and much more. Invest wisely with this sturdy and secure 5-step floating dock lift ladder. Contact us directly to learn about floating dock lift ladders in other configurations such as 3-, 4- and 6-step options.